February | 2012 | What Can I Say ? 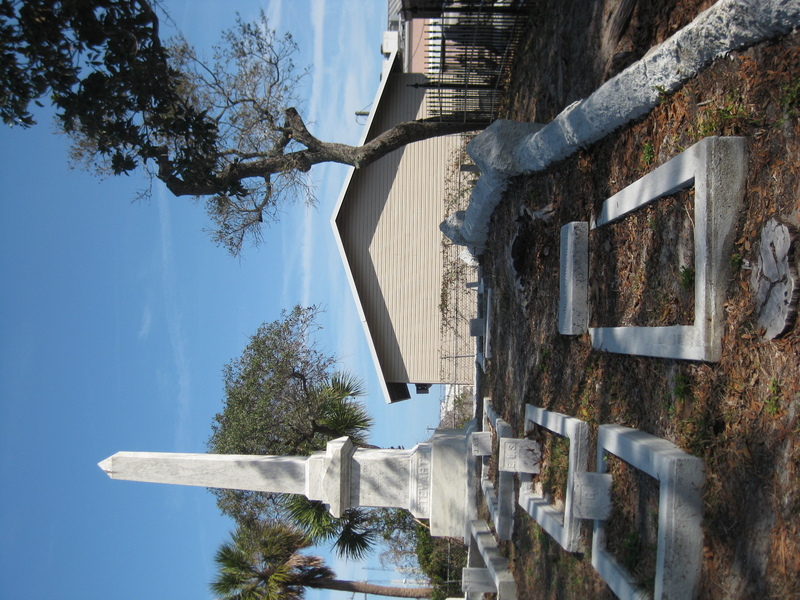 Lois and Mike have visited halls in Port St. Lucie, Melbourne, Cocoa, St. Augustine, Jacksonville (Matt’s family is from up there) and Palm Coast. 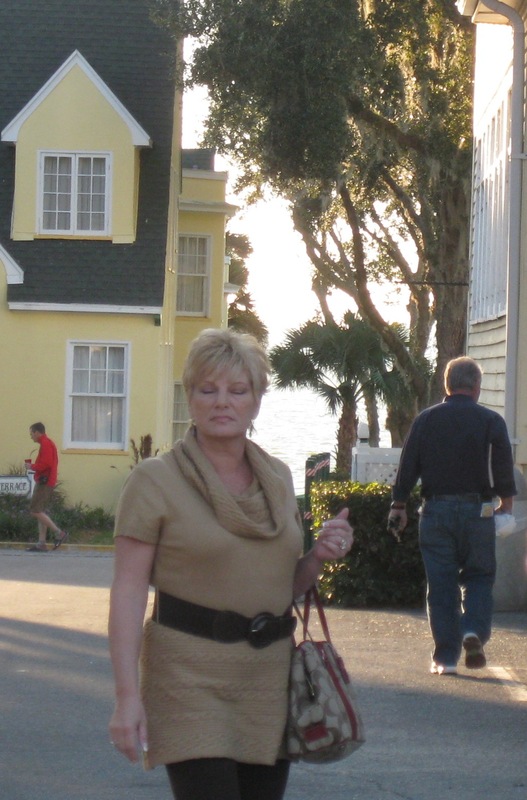 This past weekend they drove up here and threw me in the car so that we could visit the Lakeside Inn in Mount Dora, another possible site for the grand event. 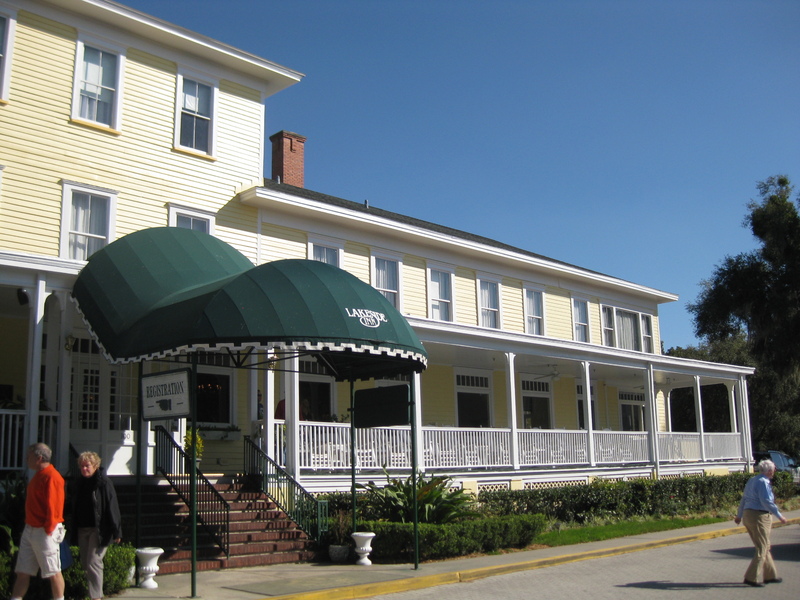 It’s a sprawling white frame building in the “Old Florida” style, hugging Lake Dora, and the former home of a fabulous Sunday brunch (now sadly discontinued). 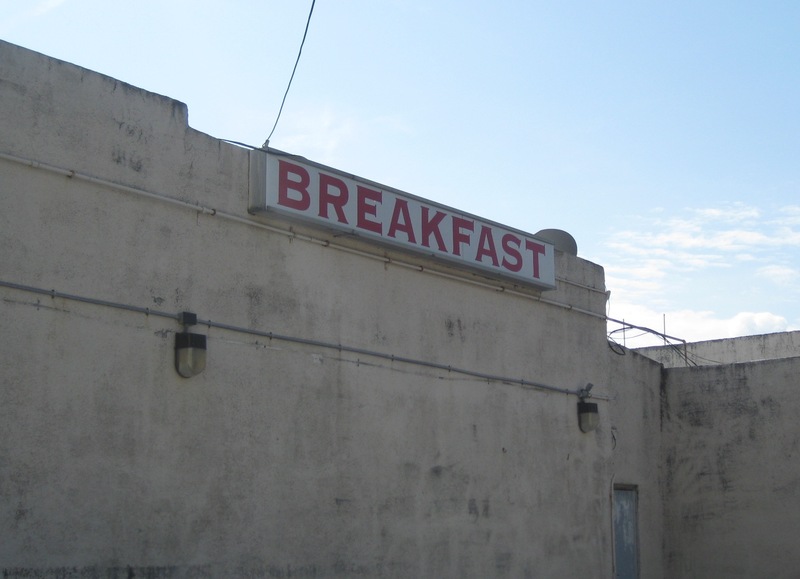 Years ago we were there to overindulge ourselves in that endless repast, and had arrived at the same time as a bus load of very senior citizens; I uncharitably called out that “I’d love some of that macaroni and cheese TODAY, not next TUESDAY” as I stood in line at the barely moving brunch buffet. See how mean I was in the olden days? The lobby is made for dreams– you could fall asleep easily on one of the overstuffed couches or armchairs, and I think some people might actually have been (hopefully) asleep. 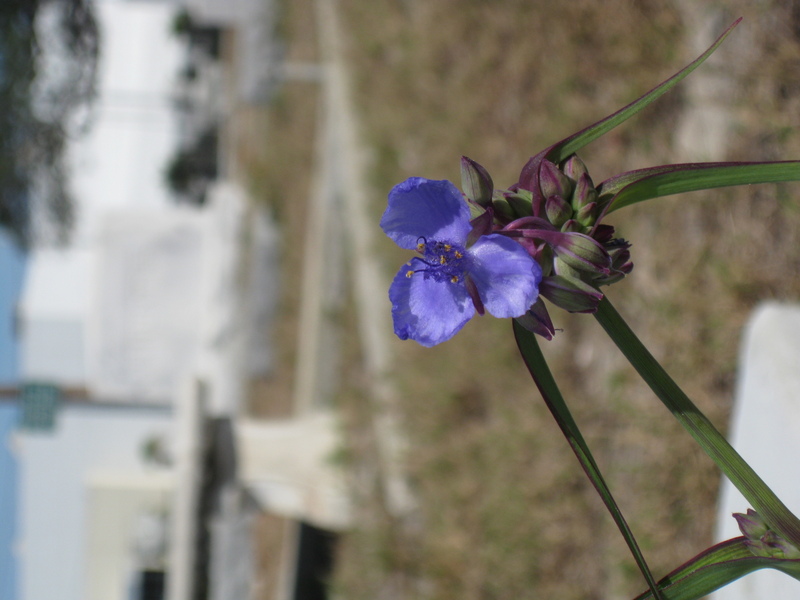 We’d raced up there– it takes longer to travel 441 from Winter Park to Mount Dora than it did in the past– and were a little bit late for our 2:30 appointment, but the Wedding Planner was happy to see us anyway. And what was I doing hanging on, besides? Nothing much; I volunteered no input, and hadn’t a single opinion about epergnes (silver or plate? ), la busta bags (silk or cotton? 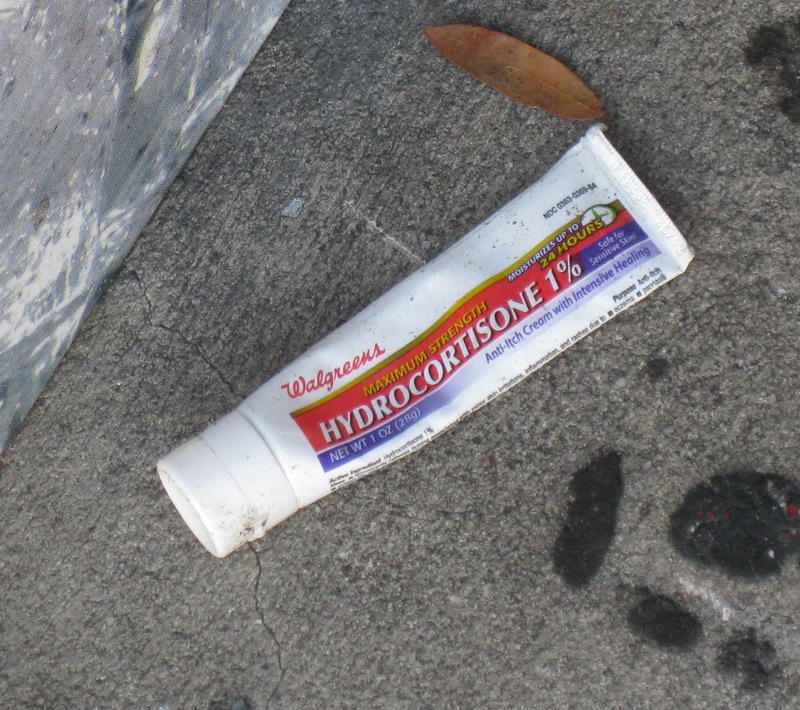 ), or runners (necessary?). I was only along for the ride. The Lakeside grounds are beautiful and the afternoon sun turned the surface of the lake into a dish filled with diamonds. 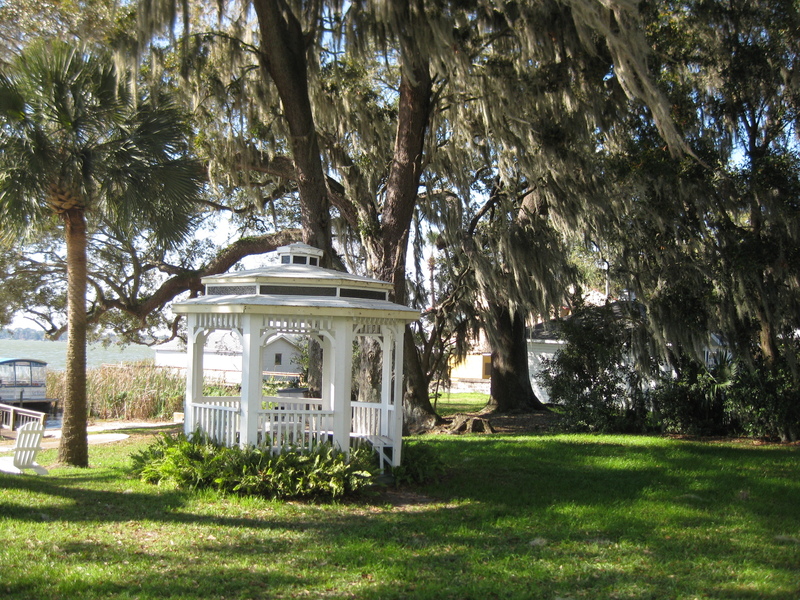 The gazebo area under the trees is where couples marry who want to tie the knot outdoors. Remember in the sixties when couples opted to marry along the seashore, barefoot, and wearing flowers in their hair? Or in the country, in a field scented by cows, the bridal party outfitted in muslin and straw hats? Traditionalists thought they were nuts, but now it seems that everybody wants to get married outside. We were then marched into a little room– being the last one in, I was firmly entreated by the Wedding Planner to close the door– and shown a series of mounted wedding photos of couples who had been married at the Inn. The Wedding Planner’s own wedding was featured, the entire party dressed in leather biker vests (except for the bride). “Wow,” I said, “would you look at that,” which is pretty non-committal, at least to my ears. A Wedding Planner AND a Biker Chick– what are the odds that one person would be composed of both guises? In Mount Dora, pretty good! When they started discussing rates, numbers, runners (the outdoor aisle runner, prone to flapping in the breeze, can be held down with rocks at no extra charge) and the like, I pleaded ADHD and exited the room in search of the hotel’s Beauclaire Lounge. After that we had a late, late lunch at Goblins, a highly recommended restaurant on Dora Drawdy Lane. 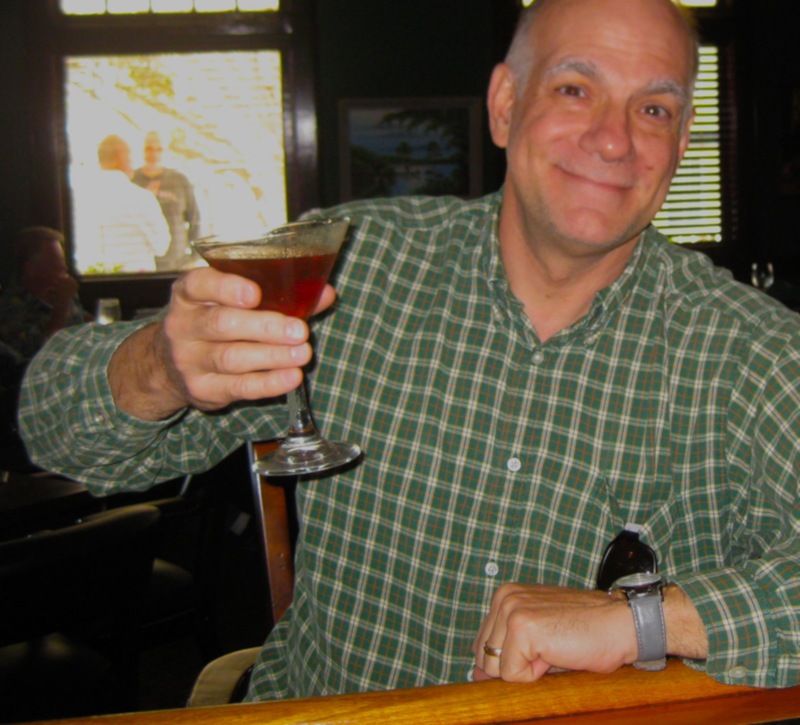 (Say that ten times fast after downing a large Manhattan… I dare you.) We got to laughing over whatever it is my sister and I can find to laugh at, and my sunglasses slipped from my shirt pocket and plopped into my crab bisque soup. Class. 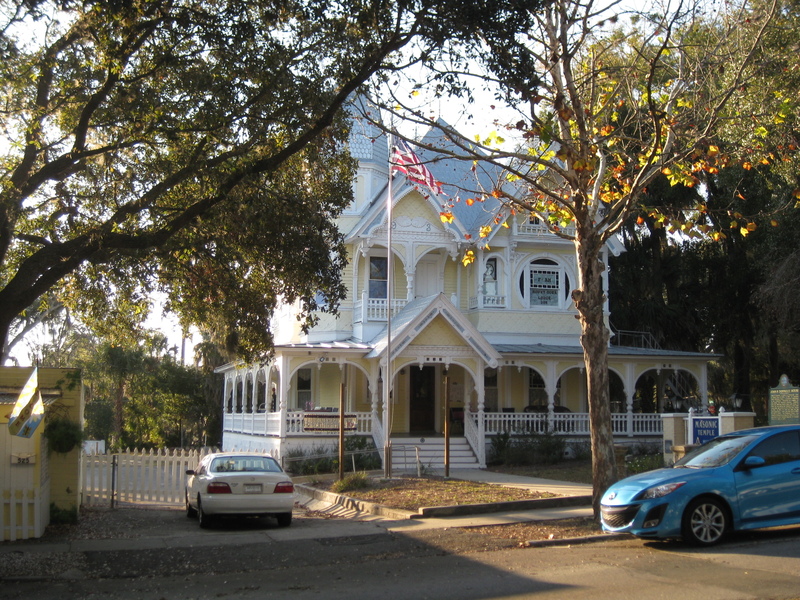 Here’s the most famous place in Mount Dora, the Donnelley House, now a Masonic Temple. I wonder if these Donnelleys are the ones who keep delivering telephone directories to my house? All in all, a fun trip. We had headaches from laughing, but that did not prevent us from stopping at Publix in Winter Park for fried chicken, brie, crackers, chips, and milk, even after vowing at Goblins that we would not be hungry enough for dinner. And a parting shot from one of the gas stations in town; apparently, the natives are restless. This lends itself to some publicity slogans which the Chamber of Commerce should employ to keep people like us coming back. 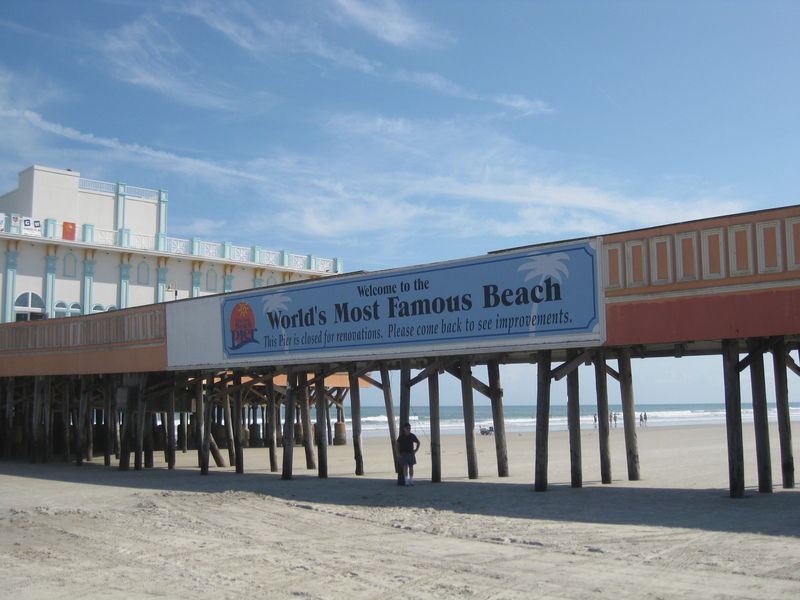 You don’t hear much about Daytona Beach these days. I mean, it’s there, but not in the way you might recall hearing about during its halcyon days as a spring break destination; in 1985, Florida was forced to enact strong minimum-age drinking laws in order to quell damages caused by drunken college partiers– they allegedly were throwing an alarming number of beach chairs into hotel pools. Most college students traveling south for respite from all the snow and ice tend to stop in Panhandle Florida or even the Alabama and Mississippi coasts, where there are apparently virgin populations of beach chairs available for pool tossing. 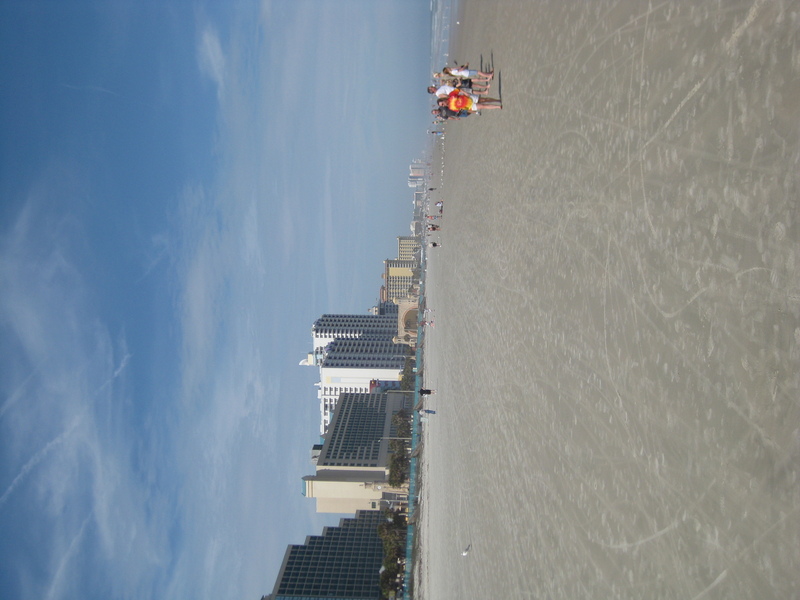 And so of course I drove to Daytona Beach this past Monday morning, just because. I’d heard all sorts of adjectives linked to its charms– seedy, rundown, passé, over– that naturally I needed to spend some time there. It’s an easy run along Interstate 4 to the International Speedway exit 129, which takes you directly along U.S. Highway 92 toward the beaches. I love U.S. highways, and take them whenever I can; they’re much more picturesque than the barren interstates. While picturesque can mean anything from fleabag to palatial, you definitely get to see some interesting sights. Here’s that entry way you pass at the intersection of 92 and White Street. In the vague recesses behind my brain, I always thought this was part of the Sugar Mill ruins, but those are up in New Smyrna Beach. WRONG. 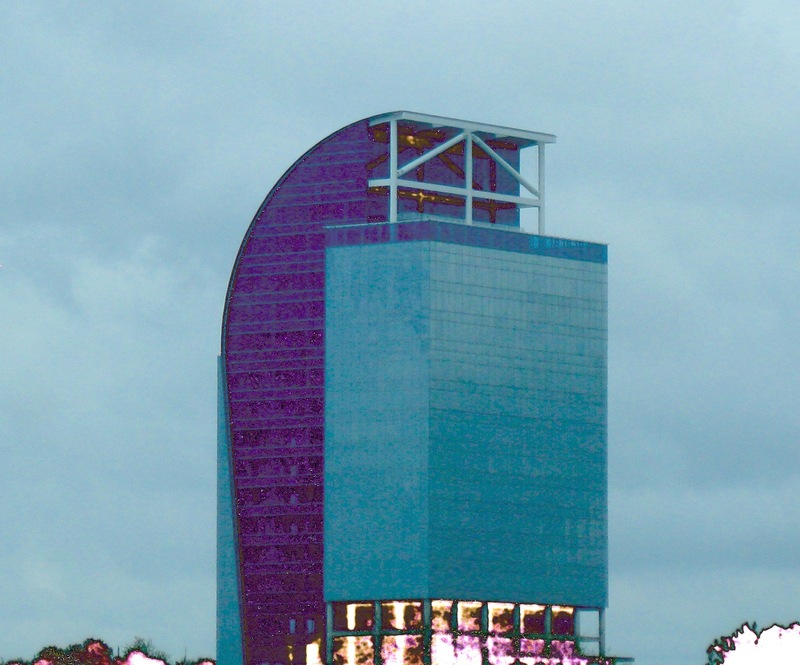 This is known as the Tarragona Tower and was built in 1926; click on the link to read about it. 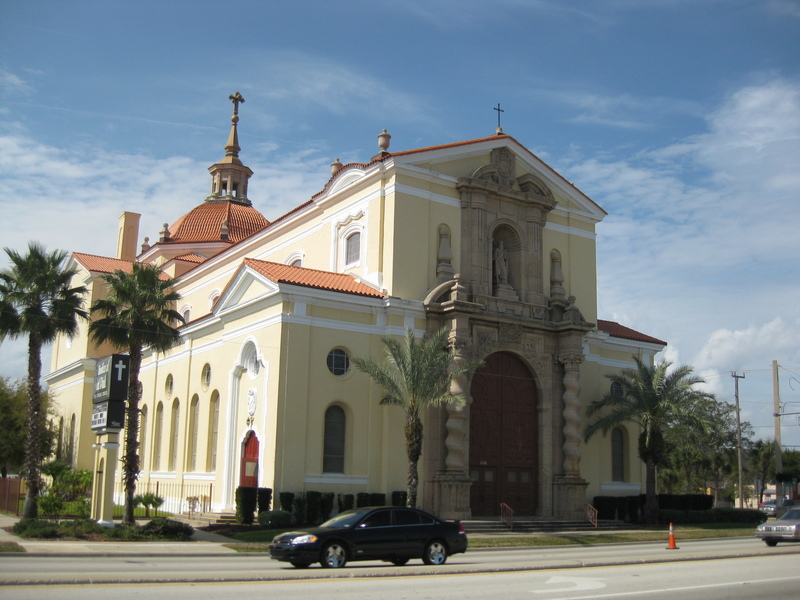 It’s the entrance to a neighborhood of stucco and coquina Spanish-style houses that form the Daytona Highlands neighborhood. 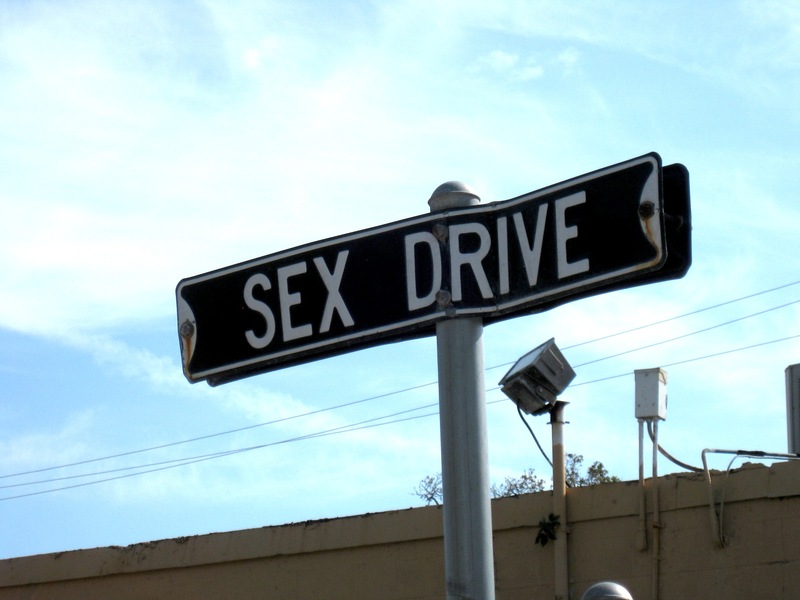 I headed down an interesting-looking street and came across this street sign in a down-at-its-heels neighborhood behind some sort of facilities. As soon as I stepped out of the car into the stillness, sirens wailed, lights flashed, and a man eyed me shiftily; there was a commotion taking place a block away, and there I was with my little camera. I mean, you can’t take pictures of the police and firemen doing what they do, so I wove past them all and headed further east. 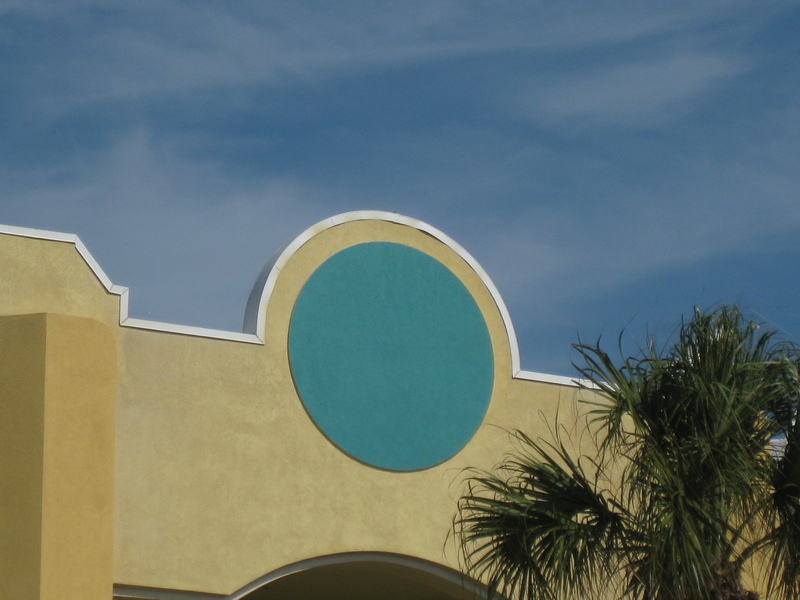 This blue dot is one of many adorning a building on Main Street. It occurred to me that the circles should be painted in a tromp l’oeil simulacrum of sky, but then birds might try to fly at them. Not good. 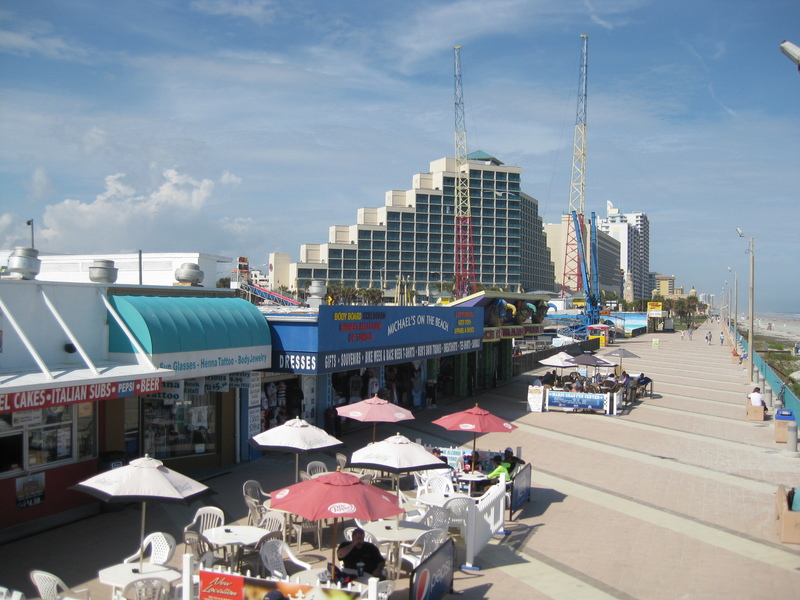 That’s the Main Street Pier above, sheathed in construction garb– closed to the public! I’m glad Daytona Beach is only an hour away, rather than ten hours away. I was tempted to ask the construction workers if they would loan me a hardhat and let me roam freely– that sort of thing always comes to me easily– but I decided against it; various British couples leisurely approached the fences, which were plastered with large signs letting us all know that the pier was closed for repairs, and they were politely turned away by the Man In Charge of the Gates. Here’s a view of the hard-packed sand (cars drive on it) stretching north along the Atlantic Ocean. 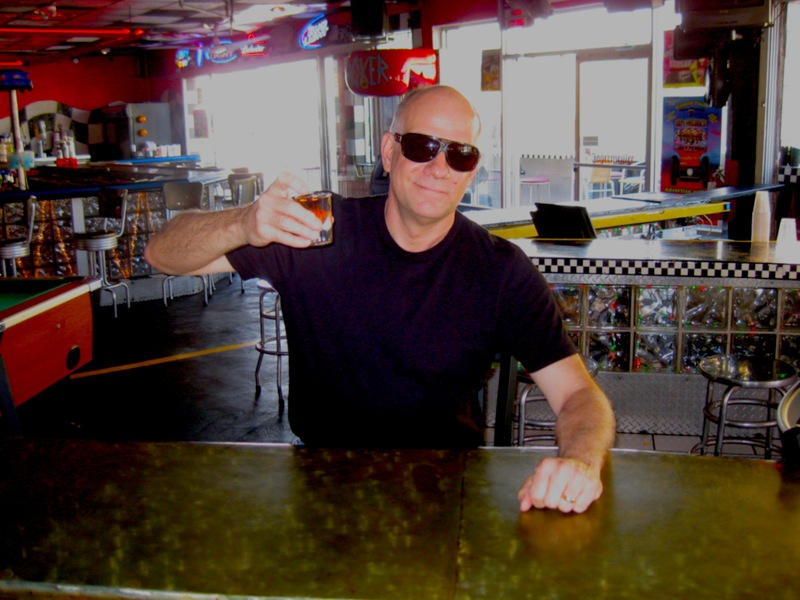 I stopped at the Cruisin’ bar to have a drink, and I was the only one in here– it was well before noon. The bartender and I had a pretty good discussion about sports, touching on the Super Bowl, the Mets, and the Brooklyn Dodgers. I have stories– being on the packed bus coming from high school in Fall of 1969 when the Mets won the world series, and the time I asked my mother why Brooklynites picketed the Dodgers for their last few games before they moved to California. Duh. And cheers. 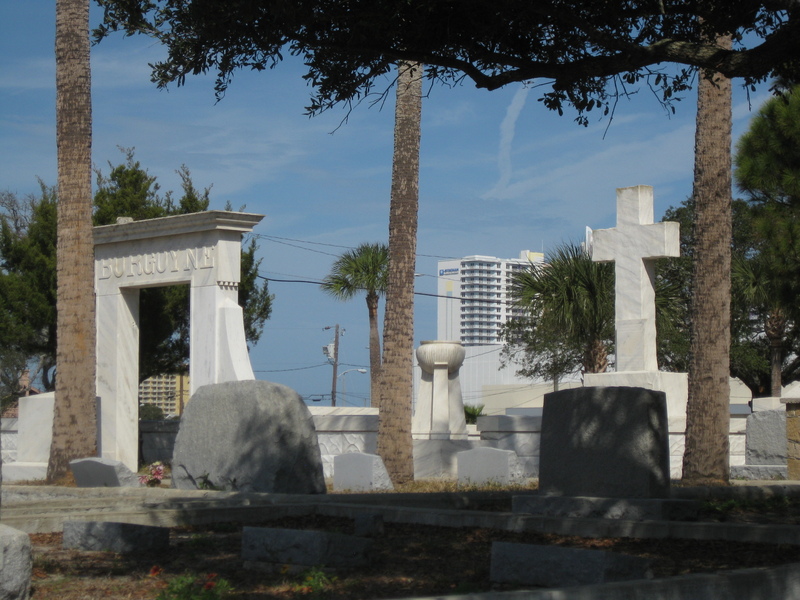 The multi-level cemetery on Main Street houses many of the area’s first families. It’s nice and quiet, and you can look into the windows of some nearby houses from its heights. 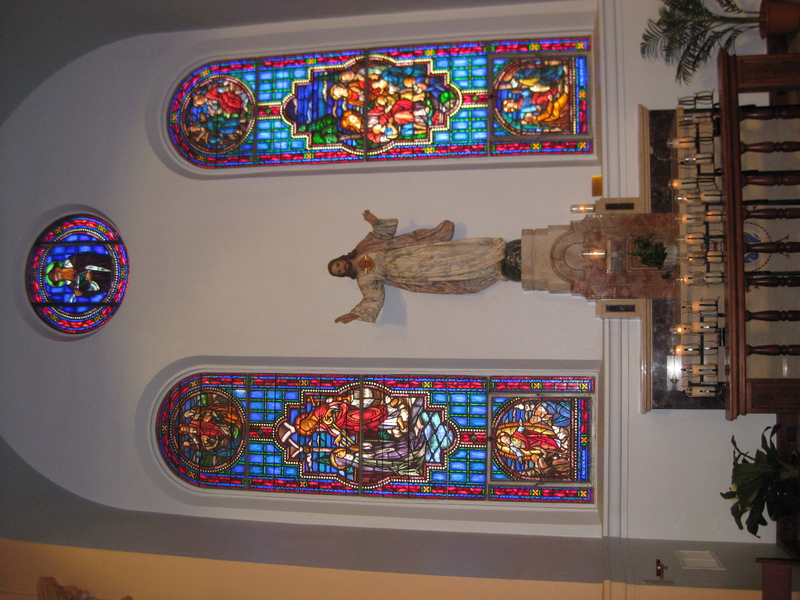 On Ridgewood Avenue back across the river is St. Paul’s Basilica, built in the 1920s. At the rear of this imposing building is a ministry that is open a lot, where people in need can walk up to a window and secure services dispensing job placement, food, furniture and shelter. I tell you, it’s very busy. There’s a lot of need in Daytona Beach. Especially downtown, I saw a lot of men and women with no apparent means of support, carrying all their belongings with them in shopping carts. Heading back home on Interstate 4, I detoured to Lake Helen, but that’s for another day and another blog posting. 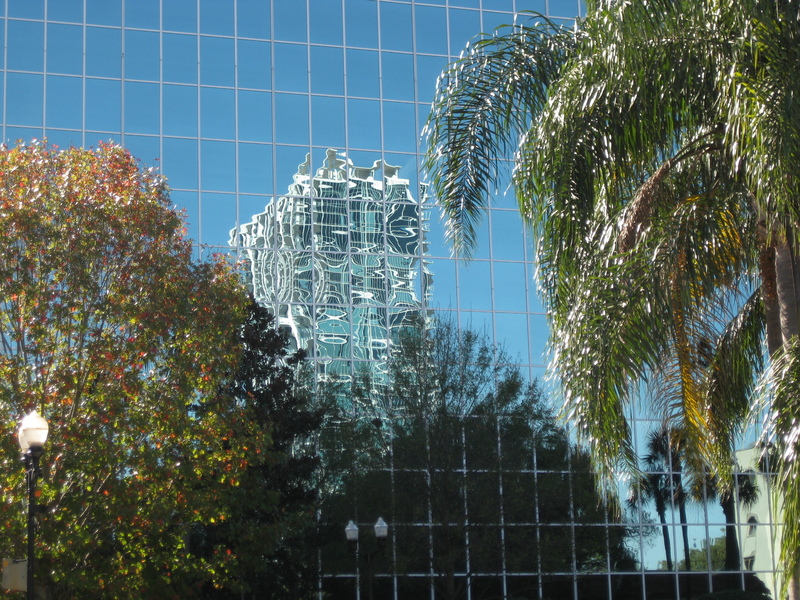 And here’s that odd structure in the Altamonte Springs area, apparently in a state of suspended construction. It is part of the proposed SuperChannel Centre, but construction appears nil. I think the religious organization that initiated construction ran out of funds. In any event, it’s a monolith seated next to the highway, looking sort of forlorn and abandoned. Maybe they can turn it into housing for the homeless. Where do I come up with these titles? Who do I think I am, Bulwer-Lytton? The sun, a roundness whose color could not adequately be described as merely yellow, stared hotly down on us as we traversed the green mile around the city park. Leashed pit bulls snapped and snarled at our ankles, and fat fireflies fizzed through the waning air. 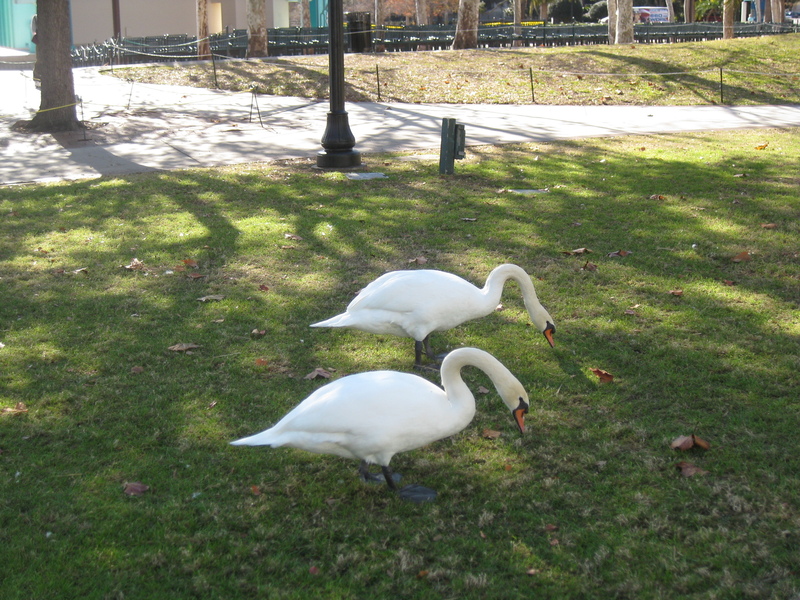 The earth inhaled, and then exhaled as, somewhere, a swan squawked. Kirk heading resolutely to the Aloma Publix. 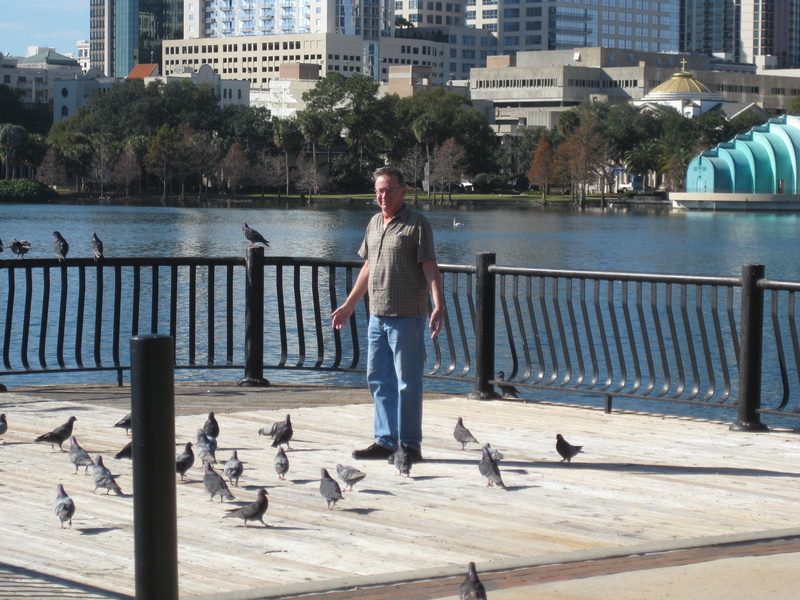 I owed Kirk a walk down around Lake Eola, something he does a few times each month with friends; I put in an occasional guest appearance– a cameo, as it were, on the mucky lapel of that sinkhole in disguise. 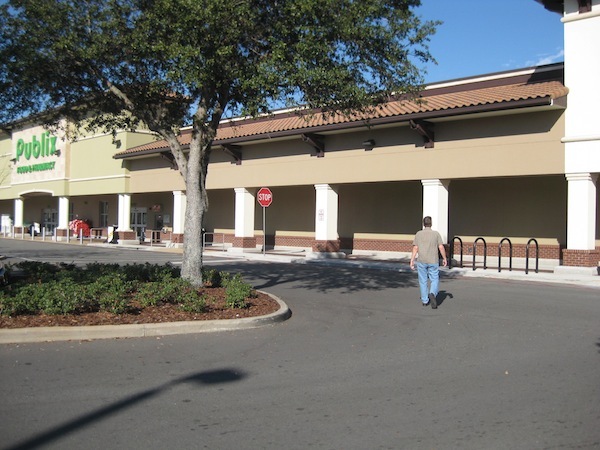 First we had to stop at Publix for groceries which we would bring home AFTER the walk– coming home, Publix would be on the opposite side of the road, and who wants to deal with all that after such strenuous exercise? Central Florida, sadly, often concentrates more on installing limited-access roads than creating actual human convenience. 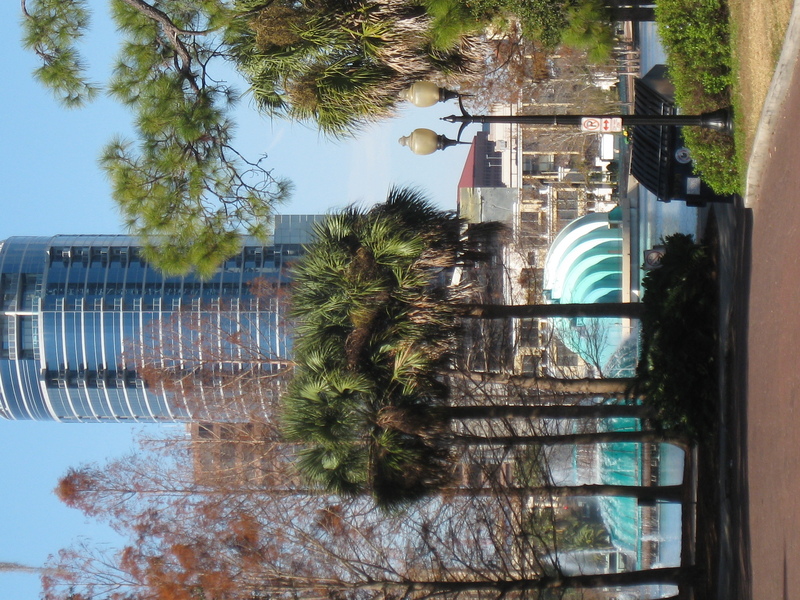 Lake Eola Park is actually officially known as Summerlin Park, but I’ve never heard anyone call it that. When I landed here in 1978, it was a messy-looking greensward that wrapped itself in embarrassment around the lake, which wasn’t anything to write home about at the time. Hustlers of all colors and stripes patrolled the streets surrounding the park, and more than a few multi-roomed flophouses lined the nearby streets. There wasn’t much reason to go downtown in search of leisure activities, but in a few years everything was beautifully transformed. 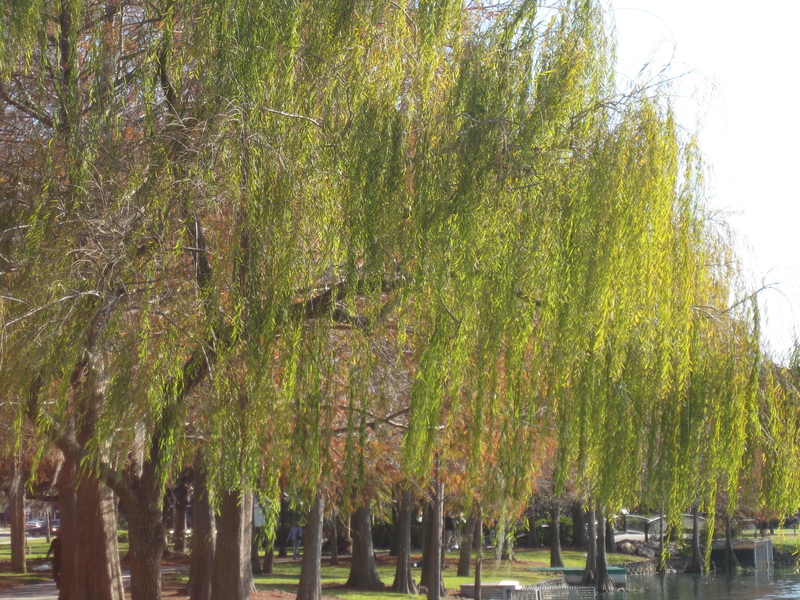 The park is really nice, and the path around it winds for almost a mile– a good way to gauge your walks. Some days we do three turns, others four, rarely five. On other days I whine from the heat, or the cold, or the goose droppings, or the people walking four abreast while yapping on their cell phones. Glossy new buildings have sprouted along its perimeter, giving the area a new cosmopolitan air. Along the south side of the park. 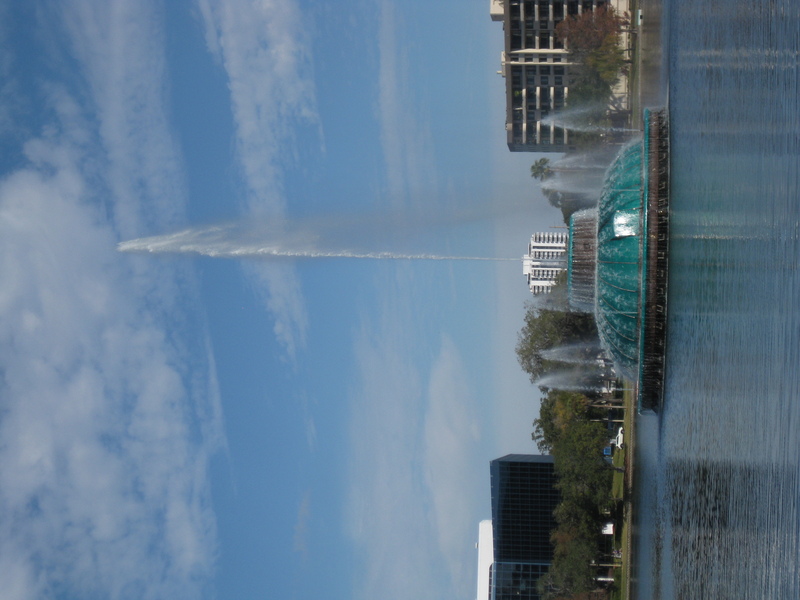 In the shot below, the aqua-colored space ship at left is actually our famous fountain, and the deco-looking structure at right is the Disney Amphitheatre. They hold shows there, and chorales perform, and sometimes regular people get up there and do little tap dances– unscheduled, of course. 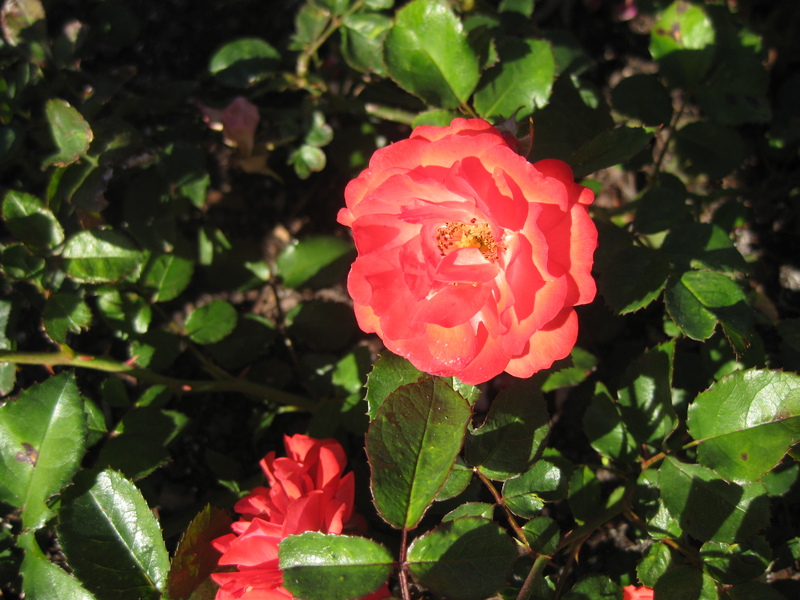 A camellia in one of the park's south side gardens. Kirk, surrounded by pigeons. Doesn't he look like the bird lady from Mary Poppins? The day we walked, the Traveling Vietnam memorial was making an appearance in the park. There were lots of veterans in attendance– homeless veterans. Think what you want about that, but I think the phrase “homeless veteran” is just plain wrong. 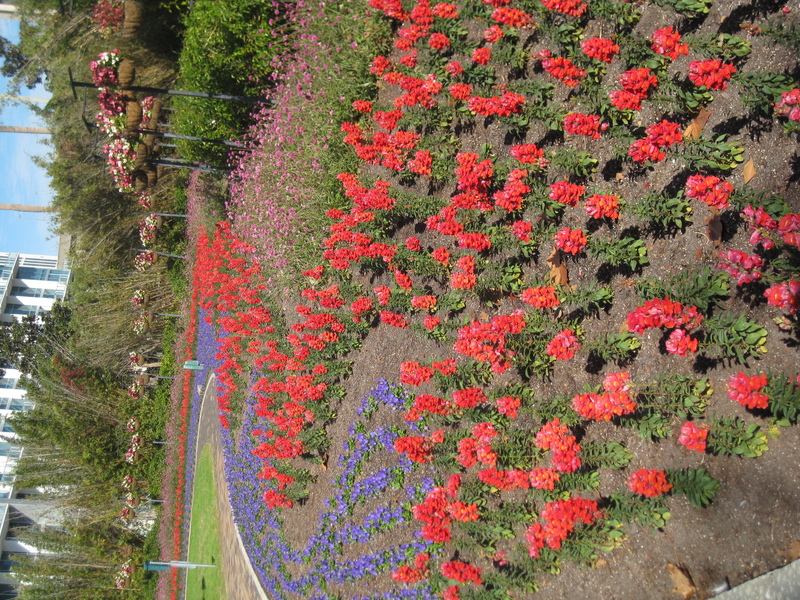 Here’s some planting they do on the west side of the park. Years ago there used to be an incredible wall covered with sweet peas here, and they would scent the air. Here’s the fountain doing its thing. 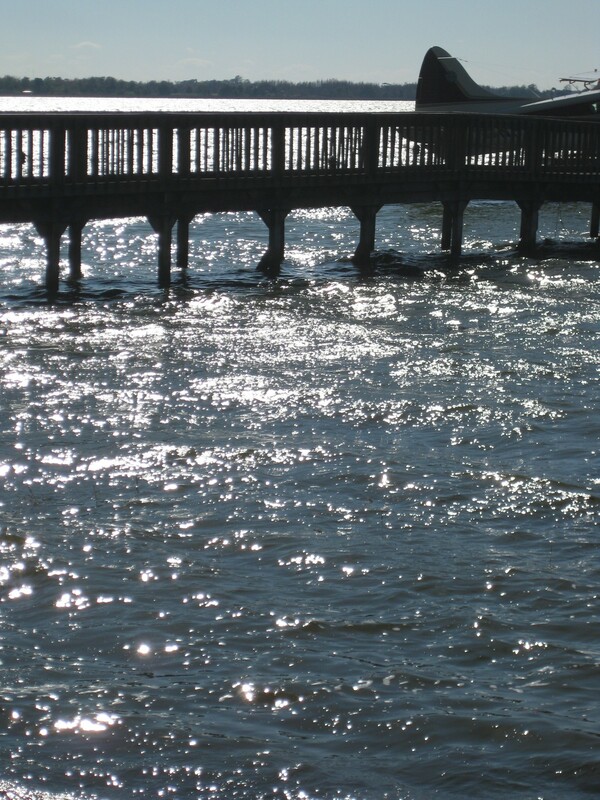 Tourists love this– and you’d be amazed at the various languages you hear spoken around the lake, not all of them spoken by people who live here. Buses regularly drop people off downtown so that they can realize that there is something more to the area than the theme parks. 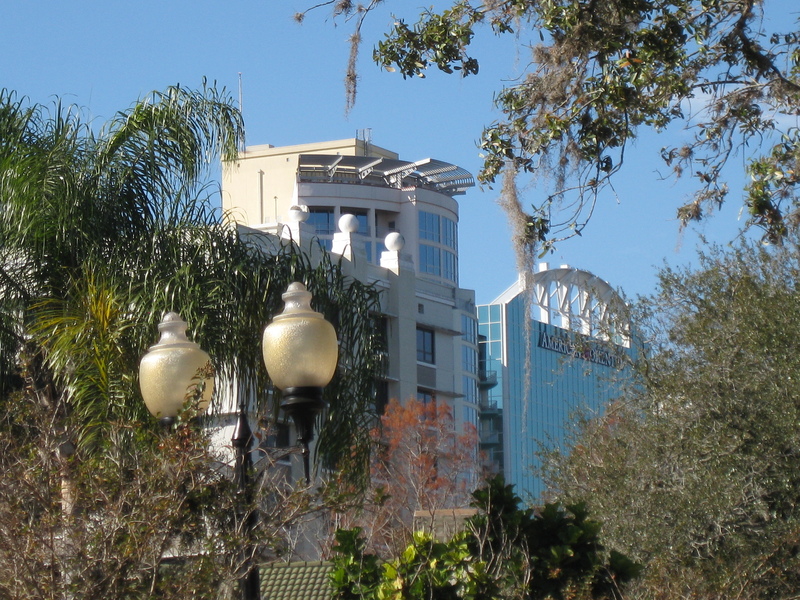 Downtown Orlando has its ups and downs; in the 1980s it was very popular due to attractions like Church Street Station and all the restaurants and shops thereabouts, but then the theme parks decided to install their own downtowns and line them with name-brand stores. Strange. 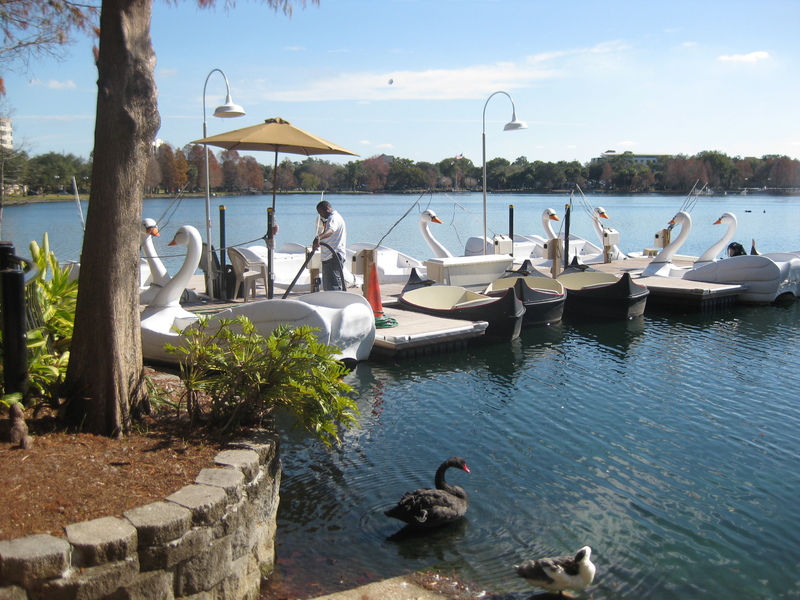 Here are the famous swan boats. You can rent these and then spend some time crossing the lake. The one time I did this, years ago with a friend, we pedaled too close to the fountain and I pictured us somehow being sucked into the machinery– sort of like that lady in the 1940s who was eaten by a faulty department store escalator. In any event, on the day I lose my mind (it happens to all of us) I hope they find me in one of the swan boats, giggling happily in the sun. It was such a nice day; I think we did three turns on the path. Sometimes you encounter people you know, determined to make their quota of turns. You smile the first time and maybe say a short greeting; you nod when you see them again; and then you politely look away on the third pass. People used to do that when their carriages passed one another in the olden days while driving through a park– there was a whole etiquette thing about it. 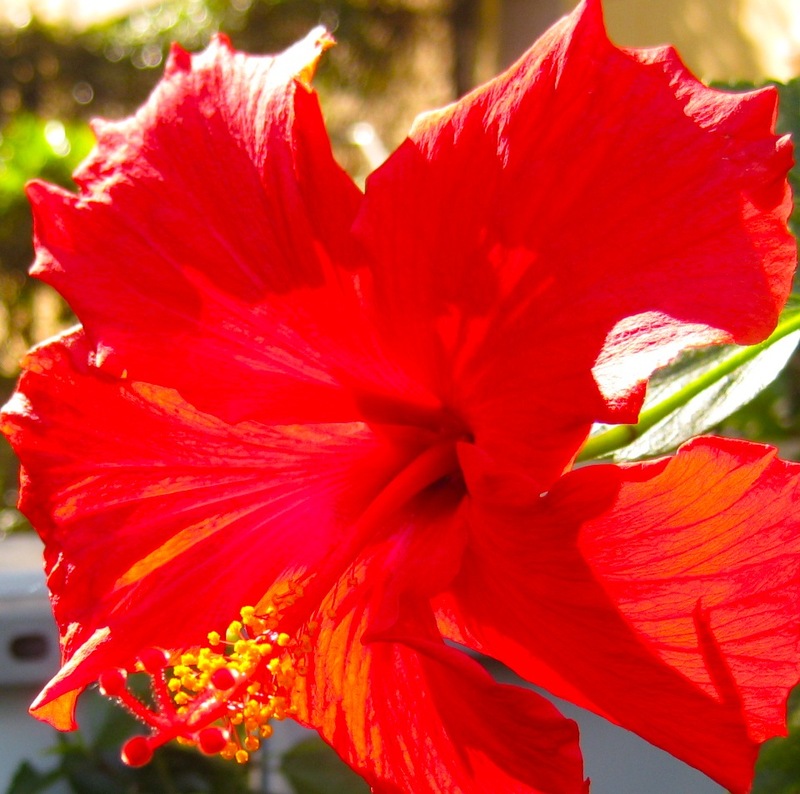 And here’s how we ended the walk, staring at this violently red hibiscus on Central Boulevard.